Two studies were recently commissioned by the European Commission for the purpose of reviewing and assessing the effectiveness of design protection systems in Europe. One was conducted from the economic standpoint and the other from the legal perspective. Directive 98/71/EC of the European Parliament and of the Council of 13 October 1998 on the legal protection of designs sought to approximate and harmonize the laws of the Member States relating to designs. Subsequently, in 2001, the creation, in line with that Directive, of the system for the protection of Community designs constituted a milestone in that it permitted unitary protection to be obtained in all the countries of the EU through a single application. The first applications were filed at the EUIPO (then OHIM) in 2003. The purpose of the study carried out from the legal perspective was to determine whether the current EU design protection framework is contributing to the strategy as regards innovation and, if appropriate, to make recommendations. The goal of that strategy is to create an environment wherein it will be easier to transform ideas into products, thus favouring economic growth and employment. One very positive conclusion arising out of the study is that a high degree of harmonization has been reached in various aspects of the design system thanks, to a large extent, to the power of convergence resulting from the practice and decisions of the EUIPO relating to designs. In this regard reference is made to the convergence programmes of the EUIPO and to the agreements between the EUIPO and various national patent offices of EU Member States for the establishment of common practices in the field of designs. The study team also highlights the efforts made by national patent offices and courts to bring their decisions into line with the interpretations of the EUIPO and the EU Court of Justice. At the same time, some controversial points have emerged, among them the very definition of design, the concept of functionality and the notions of disclosure and scope of protection. Among the recommendations made by the study team, the need to clarify the concepts of individual character and industrial sector may be highlighted. It is suggested that, when determining the individual character of a design, national patent offices and courts should also refer to the nature of the product, the manner of use thereof, the purpose for which it is intended and the industrial sector to which it belongs or where it circulates. Another recommendation is that the current notions of visibility and normal use be reviewed and that the definition of design should signify that all designs should be visible in order to qualify for protection. Also noteworthy are the recommendations made with respect to the graphic representations. In this regard, the EUIPO's CP6 Convergence Programme has already addressed the issue of corvengence in the graphic representaation of a design. The study also deals with two key issues connected with design protection: 3D printing and spare parts. 3D printing is a relatively recent area of technology whose impact extends not only to designs but also to other forms of IP such as patents, trademarks and copyright. The study team takes a very cautious approach to this subject, stressing the need for deeper analysis from all standpoints and making recommendations regarding the possible adoption of provisions on direct or indirect design infringement. The question of spare parts had already been addressed in Directive 98/71/EC which put in place the transitional “freeze plus” solution. This system allowed each country to maintain its existing legal provisions on the subject but also to make changes provided that their goal was to liberalize the market for component parts used for the purpose of repairing complex products. However, national laws are not harmonized. 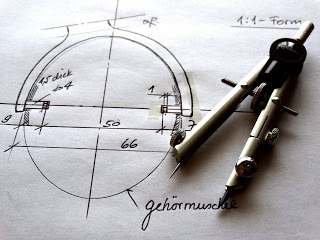 In some countries, and in the case of EU designs, it is not possible to exercise the rights derived from the design of component parts of complex products upon whose appearance the protected design is dependent for repair purposes. In contrast, it is possible in other countries, such as France and Germany. The study team strongly suggests that this situation be remedied and recommends that the spare parts issue be addressed in conjunction with that of 3D printing, as this technology may impact the manufacture and distribution of spare parts. As Directive 98/71/EC is about to come of age and over 13 years have elapsed since the system for the protection of Community designs was implemented at the EUIPO, an updating process was by now called for. What the Commission has therefore done is call a pause in order to evaluate the current situation and propose improvements for the consideration of all parties with an interest in the design protection system. N.B. Article originally published in Iuris & Lex. ExpertOption 100% Trust Broker with VFSC license and FMRRC certificate prove that the company complies with relevant requirements of international law. Looking for cheap flights to Bangladesh from your destination? Search for airfare and flight ticket deals at airwaysoffice.com and book your next flight today. Because only airwaysoffice.com giving real and ccheap airlines ticket in Bangladesh. Well, when I was taking a European studies class my freshman year of high school, my European studies teacher also taught Psychology for juniors and seniors. One day one of my fellow http://www.getessaydone.com/ students asked the teacher what she was currently teaching in the psychology class. She said she was talking about how Sigmund Freud theorized that men had a subconscious want/need to have "relations" with their mothers.